WHW’s mission is to prevent gender based violence and to empower ALL survivors. WHW believes that a world without gender-based violence is possible and that all members of our caring community can live in a world of equality, health and vitality. 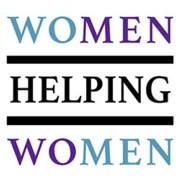 Founded in 1973, WHW provides direct crisis intervention services to survivors of domestic violence, dating violence, sexual assault and stalking. WHW also facilitates its Prevent & Empower Program which trains professionals on gender-based violence and effective response and educates youth on prevention of dating and sexual violence in over 20 schools in our region. WHW is the only non-shelter crisis intervention and prevention program in Hamilton, Butler, Brown, and Adams Counties. WHW benefits greatly from the Cincinnati International Wine Festival as the funds are all used to fulfill our agency’s mission. WHW provided over 38,000 services to almost 13,000 survivors in 2016, and that number is growing. That is why it is important for funders like the Cincinnati International Wine Festival to invest in our agency so that we can continue to show up in our community to prevent gender based violence and empower ALL survivors. WHW advocates meet survivors wherever they are, with whatever support then need, whenever they call. Here is one story about a survivor named “Tracy” who experienced just that. Tracy reached out to WHW’s advocates for help in 2016. She was physically and emotionally abused by her husband, and had three children under the age of 12. After reaching out to multiple agencies, Tracy finally got a response from WHW. Tracy’s goal was to keep her and her children safe. To do that, Tracy’s advocates spoke with her about WHW’s services and her options: She could file for a protection order, contact law enforcement, attend WHW’s support groups, utilize its 24 hour crisis hotline, one on one crisis counseling, and/or receive advocacy from WHW with other community entities. Tracy chose to file for a protection order against her husband, which ordered him to stay 500 feet away from her. However, this also meant that Tracy would be evicted from her home and lose her job, as she worked at her husband’s business. Tracy was finally safe, but she and her children had lost their home and income. WHW collaborates with community partners to make sure that ALL survivors receive the support, encouragement, and empowerment that they deserve. In Tracy’s case, this was no different. Over the course of a few short months, WHW advocates accompanied Tracy to court proceedings, helped her find a new job, a home, and even connected her to WHW’s Adopt a Family holiday gift program. By the end of 2016, Tracy had built up a new, safe, and laughter-filled home for her family. Without funding from the Cincinnati International Wine Festival, WHW and its advocates could not show up at police stations, prosecutor offices, court rooms and hospitals to empower and give hope to survivors like “Tracy”. WHW would not be able to educate nearly 6,000 students and community members each year on how to prevent gender based violence and support survivors. WHW is incredibly grateful for the continued support of the Cincinnati International Wine Festival, and is overjoyed that people come together through these festive events and donate to worthy causes in Greater Cincinnati. Our community depends on it!